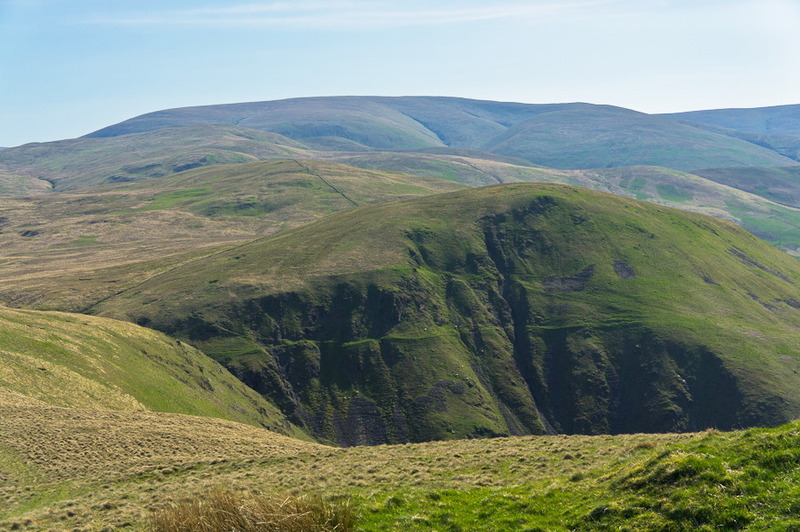 The character of Borders hills is not disimilar to the Yorkshire Dales in some areas, but on a smaller scale. 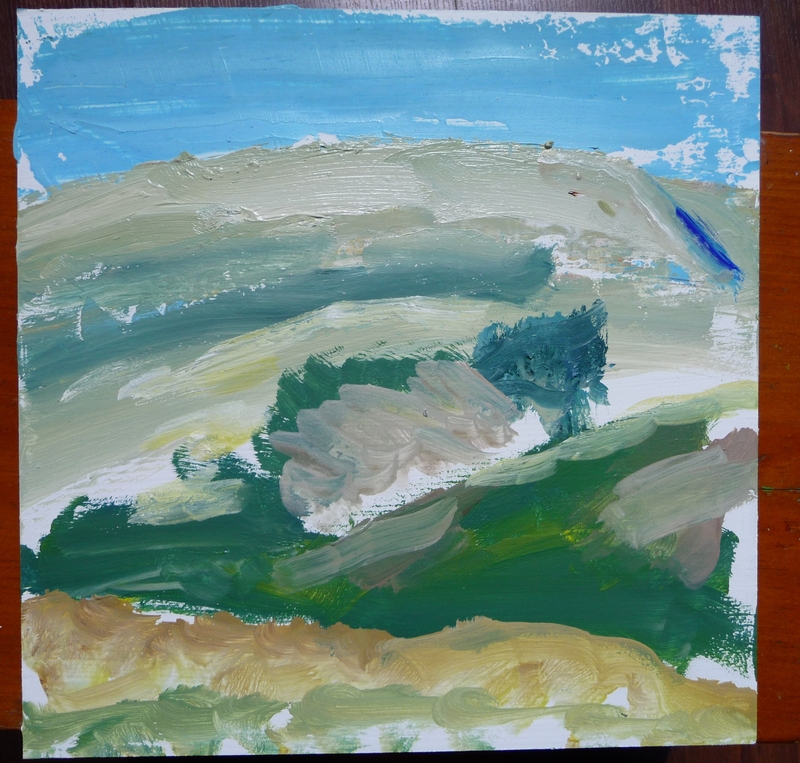 I love the rolling shapes, dappled light and subtle gradations of colour of these hills and as I become more familiar with painting the Borders I’d like the brushwork to become looser – more expressive of the landscape’s rythms. This is near the source of the River Tweed. As you drive up into the hills the landscape becomes wilder, more stark, leaving behind the lush, tree-filled river valleys. 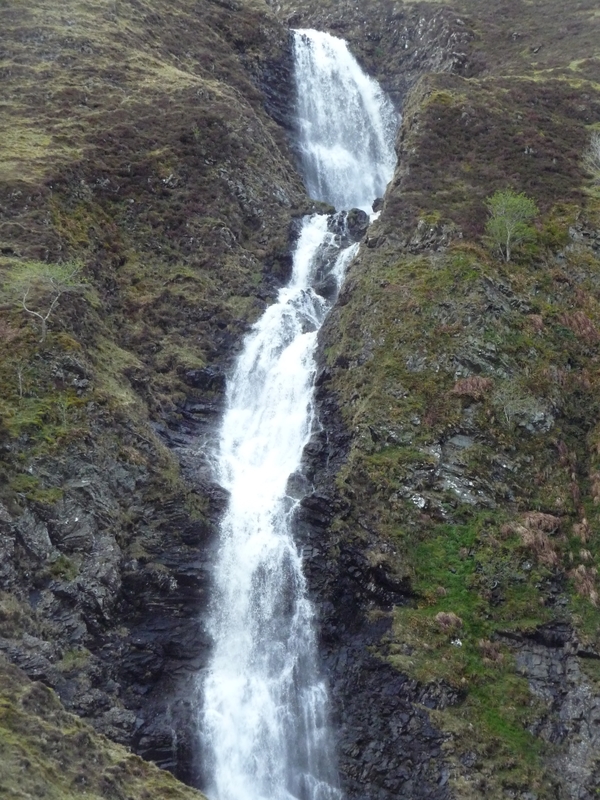 This is also where you’ll find the Grey Mare’s Tail and the Devil’s Beeftub – thus named because it was where the Borders Reivers would hide their stolen cattle after one of their moonlit raids! I’ve mentioned a little of the Reivers history in a previous post – particularly how grim it was. This was all captured in the Borders Ballads of the time. 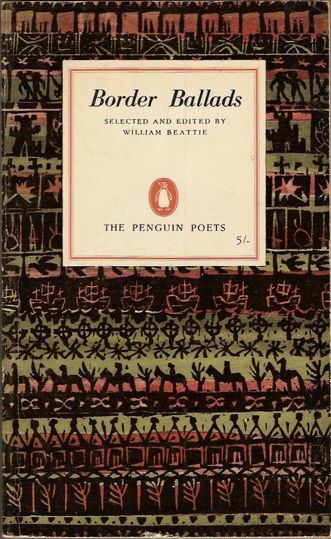 At the moment I’m exploring a wealth of poetry and song inspired by the Borders, from past to present, and I hope to make these part of the theme of exhibitions later in the year. I’ll leave you with a contemporary poem which I discovered a few days ago (on the excellent Scottish Poetry Library website), by Valerie Gillies. It’s beautifully evocative, both of the Borders landscape and its history. 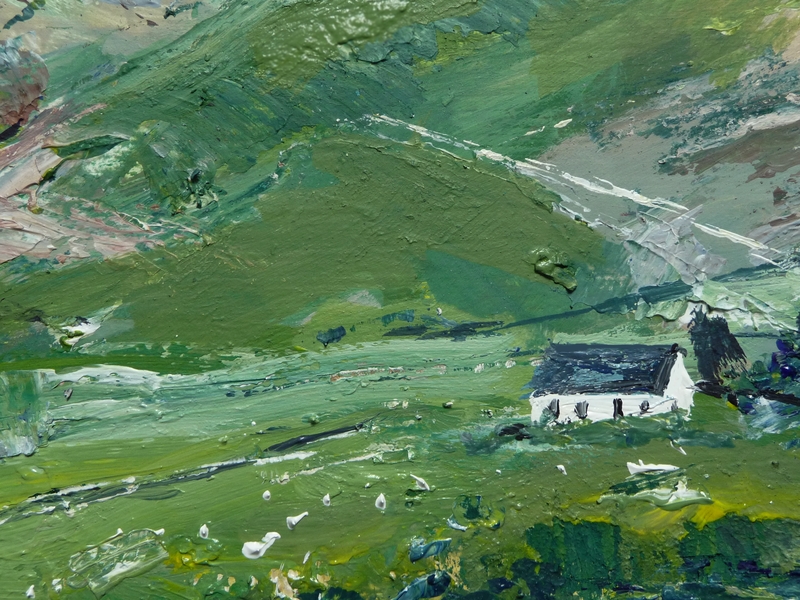 She mentions many places, among them Talla; a natural loch developed now into a resevoir, also along this stretch of countryside.. Stream Rhythm by Valerie Gillies..
the haunt of the hunting hawk. Glenheurie has the yew wood. every kind of fruit tree thrives. Holms’ meadows, islands of greenery. Drumelzier, Medlar’s dun is hidden. the loud voice, the shouting one. a man’s name in hollow court. name a feature, give stability. it’s a place for a future dawn. 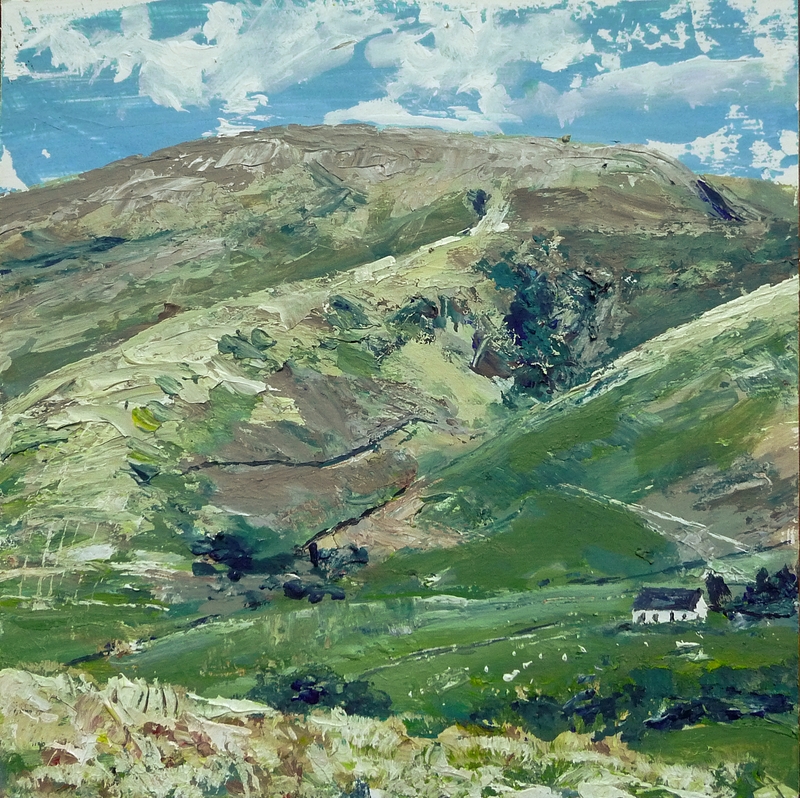 This entry was posted in Uncategorized and tagged borders art, borders ballads, borders poetry, devils' beeftub, grey mare's tail, paintings of the scottish borders, Scottish landscape painting on May 28, 2015 by rosestrang.